My daughter Anju Rai is just 12-years-old but she is mature enough to share most of the responsibilities in the family. Whenever she does not have to study, she helps her mother in the kitchen and other domestic chores. She is very interested in cooking and she can in fact prepare more delicious meals than my wife. Initially, I was hesitant to let her use electric appliances and cooking gas but my wife was of the view that unless she was given the opportunity, she would never learn. I fully agreed with my wife and we gradually let her work in the kitchen and soon she came out as a more independent person. Today whenever my wife is not around, I don’t have to worry about anything because I always have my daughter to rely on. I really feel blest to have Anju in the family because both of my biological children are sons. I often tell people that she has been the luckiest girl because she is the only one in my family in the name of a daughter. She is the daughter of my wife’s elder cousin sister and when her mother died of jaundice in May 2005, she was left without much care in her family. She was just about 2-years-old then. All her other siblings were grown up and we thought only she needed greater care and love. So, we volunteered to help her for the rest of her life. When we requested her family if we could take her from them, they all readily accepted our proposal and let her join us. Although no legal agreement has been signed with her family, I and my wife have promised that we would take care of her like our own biological child, if not more. We have promised that she would grow up together with our other two sons enjoying equal respect, dignity, love, favors and care in all the times to come. 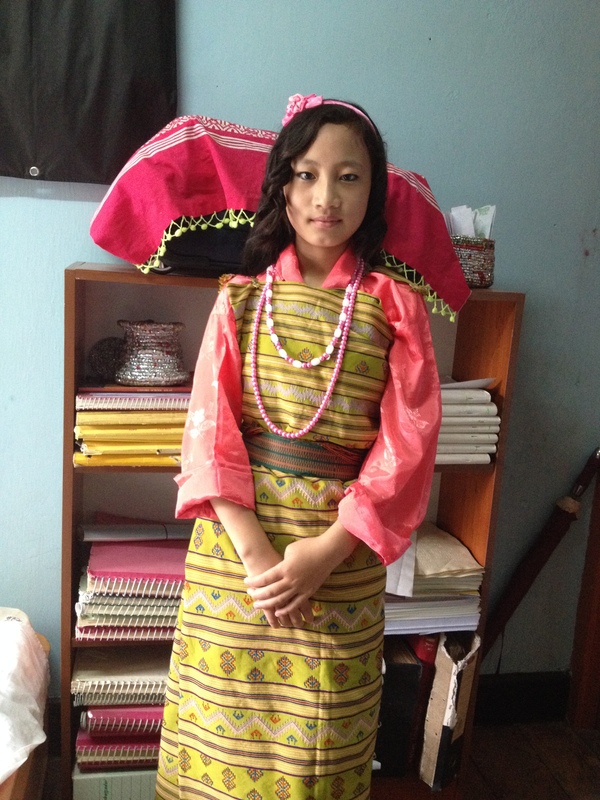 When we brought her to Thimphu in early 2006, she was infected with chickenpox and she looked so pale and sick. She was still cute and innocent though. My wife took her to JDW National Referral Hospital for treatment and after a few days, she began to get better. My mother-in-law and my sister-in-law were the only familiar faces for her because she had seen them in the village. But she would not talk to either me or my wife because she was not familiar with us. I still remember her sitting at the window all day with her grandmother (my mother-in-law) watching the road below and the cars plying along the street. Gradually she began to feel comfortable with us and began to open up with us. She finally started calling us dad and mom and our life as one family gradually began. She became our first child because we didn’t yet have other children when she joined us. Soon, our eldest son Thukten was born and she got a companion to grow up together. Today, she is a happy girl blest by her two loving younger brothers whom she loves so much. Whenever I and my wife are not at home, she always takes care of her two brothers and ensures that they don’t go hungry. She prepares food, serves them and does the dishes afterwards. She has become very responsible. Yesterday, I and my wife had gone to see a friend in Changjiji to offer our condolences for his mother’s death and we got late as we were held back to have dinner. When we came home at around 8:30 pm, Anju had prepared momo (dumplings) and she was serving her brothers. I tasted a few and they were delicious. I commended her expertise. We have really been fortunate to have such a reliable and responsible person like her in the family. We had the leftovers of the momo this morning for breakfast. Truly, she has now become my wife’s right-hand. She often accompanies my wife wherever she goes and she has been very helpful. We always advise her to become a good girl and focus on her studies. As of now, she has been a very simple girl who does not have many friends and who does not have the habit of going out. Whatever we do, we are trying our best to ensure that she grows up in a safe environment, away from the negative influences of the society. We wish to see her advance into a very bright and promising future. Her success will be our success. We shall invest as much for her education as we do for her two brothers.